Although it may sound strange, one of the best ways to differentiate yourself from your competitors is through customer self-service. 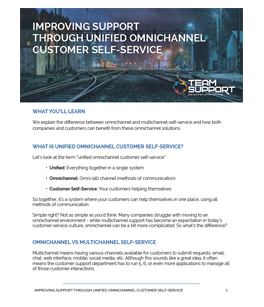 But there's a catch, to do it right you must offer omnichannel support - not just by using different channels, but by offering a unified experience for your customers. A unified experience is like taking the multi-channel approach and gold-plating it, so that no matter how your customers access your support (email, phone, portal, social media, etc.) they get the SAME wonderful experience. 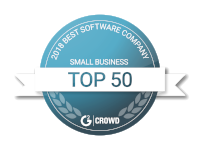 Using the right system not only accomplishes this, but also eases the burden on your support team, reducing frustration and improving morale.